There are various problems that cannot be inspected with a simple human eye. But there are special cameras that can be used for the inspection of different issues. 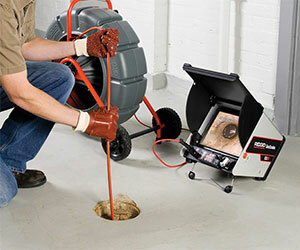 However, using such products for inspection is not an easy task, the team of Pardue Plumbing can handle all types of camera inspections and we will let you know the real cause of the problem to assure that you can find a perfect solution. We utilize high-quality and latest waterproof cameras to inspect sewer lines and different funnels that are hard to reach. Using the cameras we can easily investigate different problems. It means that we will not have to dig a huge hole in the middle of your backyard to find out the cause of leakage or blockage. We can even see a recording on screen. This camera gives us clear, unmistakable pictures so we can determine the issue and have 100% precision. Utilizing camera inspection technology gives us precise information of what’s happening in your piping system. The quicker we realize what the issue is, the faster we can fix it. Precise and effective services enable us to finish the activity in a progressively proficient way. You don’t need to stick around for hours while we are analyzing the blockage. We will handle the task with perfection and give you the best solution for the issues that you are dealing with to assure that your pipes will work properly once again.